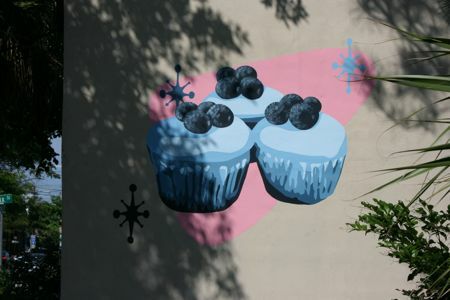 Yesterday, I couldn’t help but stop to take a picture of Sugar Bakeshop’s new cup cake mural by artist in residence from Redux, Cory Oberndorfer. As I bought a cookie, from the Cannon St bake shop, the owner, Bill Bowick, mentioned that I should try to new item on the menu, popsicles. Wow! These are no ordinary popsicles, they are made from fresh locally grown fruit and I believe that they are the best I have ever had in my life. 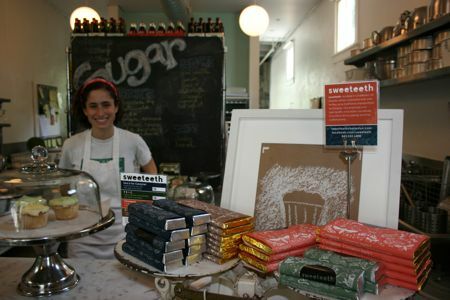 If you haven’t tried one yet, run down to Sugar, these pops are the best way to deal with the summer heat in Charleston Sc.